Aadi month (mid-July to mid-August) in the Tamil calendar is the time that is filled with various spiritual and religious activities. This month marks the beginning of the summer solstice, and the Sun starts moving towards the southern direction (called Dakshinayana). During this month, people are aligned with their spiritual energies and involve in prayers. This month is also dedicated to Goddess Shakti as the energy of the goddess is very strong and vibrant during this month. Krittika Nakshatra (star) is the 3rd among the 27 stars. The day ruled by this star during the Tamil month of Aadi is revered as Aadi Krithigai. This day is considered very auspicious and one of the best times for propitiating Lord Muruga, as Krittika is the favorable star for Lord Muruga. The Tamil month of Aadi (Ashada) falls between mid-July and mid-August and is considered highly auspicious when divine forces bestow the earth with their grace and answer your earnest prayers. 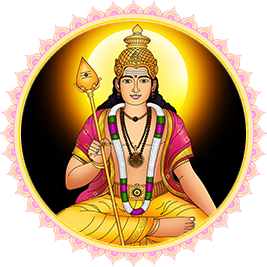 Aadi month falls in the second half of the year, which is called as Dakshinayana when the Sun transits from north to south hemisphere. Hence, the entire month of Aadi is ideal for special prayers and Poojas offered to Gods and Goddesses. Aadi Krithigai is regarded as Lord Muruga’s power day, on which special offerings are made to him at Arupadai Veedu temples (six abodes of Lord Muruga). According to mythology, Goddess Parvati blessed Karthigai Pengal (six maidens) who nurtured the six babies born from Lord Shiva’s third eye, with a boon that special rituals or Poojas will be held on Krittika star days for Lord Muruga. Apart from the Pooja and Homa (fire prayer) in temples, special and elaborate celebrations are organized in Arupadai Veedu (six abodes of Lord Muruga) — Tiruttani, Thiruchendur, Swamimalai, Palani, Pazhamudircholai, and Thirupparankundram. Devotees spend the day chanting Muruga mantras and hymns, kavadi attam (a traditional dance), etc. Some devotees also undertake Vrat (fasting). Sadakshara Yantra - Boost your Courage and Determination Forces! Why Sadakshara Yantra? Courage, Confidence and Charisma are the 3C’s that will drive you towards victory. Muruga's Vel is a psychic weapon representing Shakti or higher intelligence. Muruga received the Vel as a gift from his mother Parvati to destroy bad karma, darkness and diseases.